New on CTD: Scary cars, scary guns. Read about car mufflers and gun silencers. This entry was posted in civil rights, rkba, sound suppressor, weapon and tagged car, CTD, muffler, silencer. Bookmark the permalink. 9 Responses to New on CTD: Scary cars, scary guns. 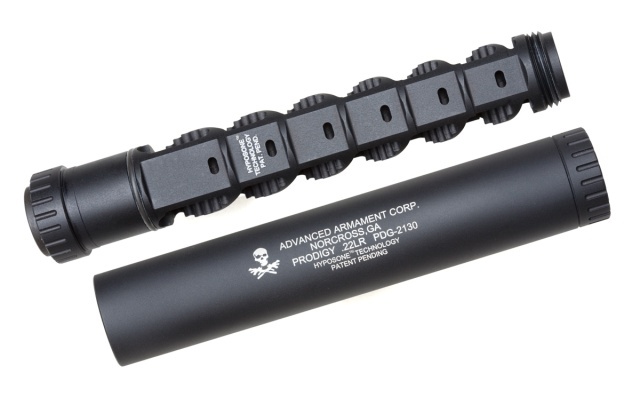 Hmmm … that $200 tax has resulted in some seriously well designed suppressors, if nothing else. The cheapies for sale in the EU aren’t much better than lawnmower mufflers. The NFA didn’t result in well designed suppressors, it only resulted in the destruction of the low and mid range markets. Removing the NFA tax/registration, SOT, and other paper work requirements and you’d see a thriving market emerge that would span most of the economic spectrum. I’m not praising the NFA, I’m just noticing its effects. Nor did I think you were, but you are clearly misunderstanding the effect. Exactly how was my statement that government caused expense forced higher quality products into the production queue untrue? Yes forced IS the operative word here … but it did happen. Yea … I’m pretty newb. Started on Fidonet, BBSs, USENET, telnet, and port 70 gopherspace. The punched card fossils have me beat, though. Then perhaps you don’t understand what “caused” means. If before the government regulation existed there was a market that spanned the economic spectrum from low to high. Later, government regulation wipes out everything but the high end, because its margins are large enough, the government regulation did not cause the high end market to exist. The high end market continues to exist despite the government, as opposed to because the government. I don’t suppose you browsed the suppressor selection from that New Zealand shop Oleg linked to in his article? Their selection spanned the entire spectrum from the cheap crappy ones you deride, up to just about as expensive as what we have. Destroying the low and mid range markets there would no more create the already existing high end market than it did here. Thanks for writing about this Oleg. As a mid-twenties Californian, I grew up without ever really thinking about guns but none-the-less thinking they were bad. The machine is very effective here. I’m grateful for your and other people’s writings on things like “sound moderators” and “assault weapons”. Introducing cognitive dissonance is the most effective way to change a person’s mind. With these types of posts you force people to consider the realities of suppression tools vs. the propaganda they’ve been subconsciously taught their entire lives. You keep on writing these types of posts and I will keep on directing my anti-gun family and friends to them. Bringing an anti-gunner to our side is a 2-point turn around. Making enemies with ignorant anti-gunners hurts everybody. Thanks for doing what you do dude.